Effexor Common Uses: Effexor (Venlafaxine) is an antidepressant used to treat depression. Effexor (Venlafaxine) also be used to treat other conditions as determined by your doctor. How to use Effexor: Follow the directions for using Effexor (Venlafaxine) provided by your doctor. TAKE Effexor (Venlafaxine) with food. 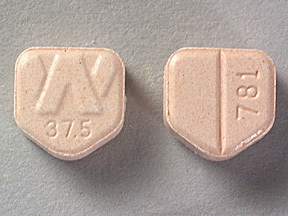 STORE Effexor (Venlafaxine) at room temperature, away from heat and light. CONTINUE TO TAKE Effexor (Venlafaxine) and Effexor XR even if you feel better. Do not miss any doses of Effexor (Venlafaxine). IF YOU MISS A DOSE OF Effexor (Venlafaxine) and Effexor XR, take it as soon as possible. If it is almost time for your next dose, skip the missed dose of Effexor (Venlafaxine) and Effexor XR and go back to your regular dosing schedule. Do not take 2 doses at once.